There's a new blue moon in town and it has a better claim to the mantle than the previous ones, which may not have been blue after all. It showed up in Hutchinson, Kansas, last night, ringed by a fog. I hear it may have been seen elsewhere - funny how that works. 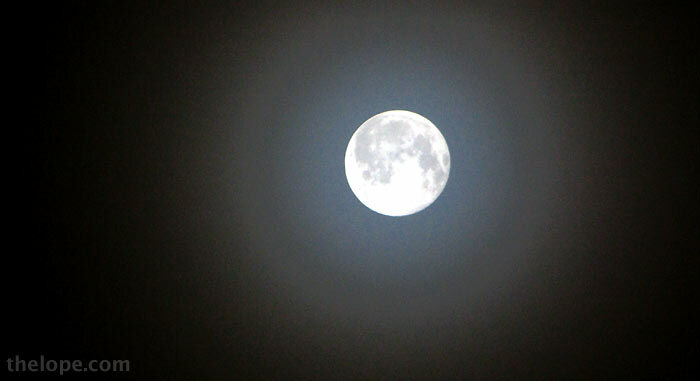 So, why is it a blue moon if it's not the second full moon this month, which is the way I was always taught it worked? This article at space.com explains it better than I could.